There is an order limit of two Rewards per day. You can order as many of the same Reward as you choose. I’ve heard that I can earn HoneyDollar$ for sending in a photo and/or video of me with my new Honey Store Reward. Is that true? Yes! You can earn HoneyDollar$ after you’ve received your reward in the mail. Simply send a photo of yourself and your HoneyDollar$ Store Reward to prizes@earnhoney.com and 10 HoneyDollar$ will be credited to your account within approximately 7 to 14 business days. Please remember that YOU must be in the photo with your reward to be accepted. You can send in a total of five photos. You can also film a video of yourself unboxing your reward from its shipping material. 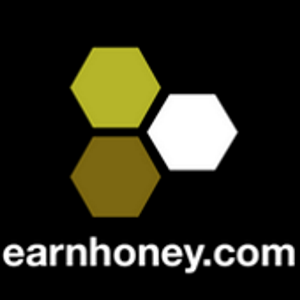 All you have to do is upload your video to www.youtube.com and send the url link of your video As with the photo to prizes@earnhoney.com and we will credit your account with 20 HoneyDollar$! Your picture/video may appear in one or more of the following pages: Earnhoney homepage, Earnhoney blog, Earnhoney Flickr page, Facebook wall, Twitter feed, etc. I don’t see a Reward in the Rewards Store that was there in the past. What’s going on? Some of our Rewards are limited, so if it runs out then it is no longer available for redemption. Just because a Reward runs out doesn’t mean we won’t be getting it again in the future, so make sure to keep checking the Rewards Store for current available Rewards. What does e-Gift Card mean? An e-Gift Card means it is an electronic gift card as opposed to a physical gift card. The Gift Cards we offer are e-Gift Cards that will be delivered to the “My Gift Cards” section of your account. Here at earnhoney.com we want you to enjoy your experience and your Rewards. You can redeem your HoneyDollar$ for Rewards as soon as the HoneyDollar$ are in your account. Redemptions will be paid out on Mondays and Fridays. Submissions during Tuesday, Wednesday, and Thursday CST will be delivered on the following Monday. Submissions during Friday, Saturday, Sunday, and Monday CST will be delivered on the following Friday. Sometimes it takes longer if we need to verify the transaction, but we will email you if this is the case. Sending an e-mail to view the Gift Card Code adds an extra layer of security because it will deliver the e-mail and link only to the intended person. We can re-issue un-used cards within 3 months of redemption. Issued gifts are not valid after 3 months. I purchased a Paypal Gift Card, when will I receive it? We will send to your PayPal account with the same timeframe as above. Does my PayPal have to be verified? No, we offer an option for unverified Paypal addresses as well.